Le VPN offers high-speed VPN service for Sweden and around the world. As people become increasingly aware of the dangers of surfing the Internet without protection, VPNs have become more than just a luxury. Add to that the benefits of international browsing and it’s plain to see why so many Internet users have invested in this important service. Le VPN offers international VPN service for Swedish residents looking to visit foreign sites. We also maintain a domestic server for anyone who wants to browse the web more safely, and can help expats access their favorite Swedish TV shows and other media from abroad. 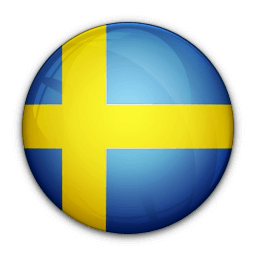 A Swedish VPN can also be used to access in-country services from abroad. Le VPN can help you plan a move, avoid censorship or otherwise benefit from the many advantages of being in Sweden — without actually buying a plane ticket. One of the biggest advantages of using a domestic VPN is knowing your personal information is safe no matter where and how you access the Internet. For many who travel frequently for work, logging on via a hotel website, airport Wi-Fi or other connection is simply a reality of the road. Instead of worrying about whether or not it’s safe to send sensitive information, use a VPN and you can be sure your connection is properly encrypted at all times. Le VPN’s Swedish servers transmit data using an AES-256 encryption algorithm — the only cipher available for private use that’s been approved by the American National Security Agency (NSA). Your connection can be configured to use OpenVPN, PP2P or L2TP security protocols, giving you further control over how you surf. What these features add up to is a secure way of using the web, no matter where you are. Not only is your personal data safer, but it’s impossible for a third party to monitor your Internet use or even know what type of resources you are accessing at a given time. Advanced safety protocols aren’t the only reason for using a VPN. From any of our 400+ international servers in 114 countries, it’s possible to access entertainment that isn’t available in Sweden. Whether it’s the American or UK Netflix — or TV channels from the Middle East, Poland or other Scandinavian countries — a VPN lets you bypass geographic restrictions that would otherwise limit the type of websites you could visit. Alternately, because of our powerful Swedish server, Le VPN is a great resource for Swedes abroad. If you’re traveling or studying for an extended period of time, using a Swedish VPN can keep you connected to your favorite programs, including Beck, The Bridge and others via the SVT and TV4 websites. And don’t forget SHL games, the Eurovision finals and other must-see events. Whatever your reasons for requiring a Swedish VPN, you’ll find the service you need at a great price when you use Le VPN. As a Le VPN customer, you’ll get unlimited speed and data transfer, as well as full access to our 400+ international VPNs. You’ll also get our proprietary mobile and desktop software, which makes connecting to the server of your choice easy. Pricing plans start at just $4.95 USD per month with a 12-month contract. Sign up for a shorter period of time and you’ll still get access to our complete slate of premium services. Get started with Le VPN today. Sign up for your account or contact our customer service team for more information about what we can do for you.